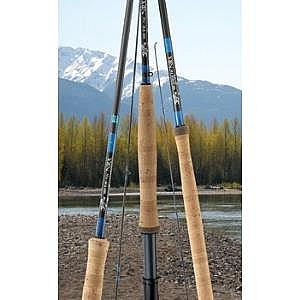 This spinning rod is designed for the special needs of the salmon fisherman.It allows you to make long effortless casts with everything from a large spinners to small, weightless egg clusters.With thesensitivity to feel subtleties of the drift,along with the strength to set the hook and land these large fish,you may find these to be the ultimate multi-purpose salmon rods. 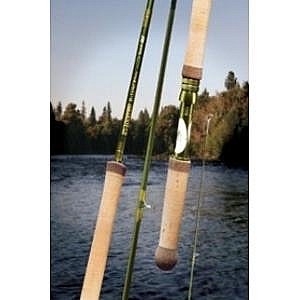 Perfect all-round performance trout rods. 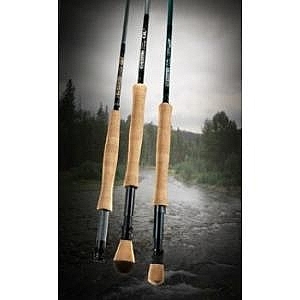 The GLX range allows you to make long casts and are soft enough to make accurate short casts.Wonderful for making delicate presentations with small dry flies and light tippets,yet will manage short sink-tips exceptionally for fishing closer to the bottom too. 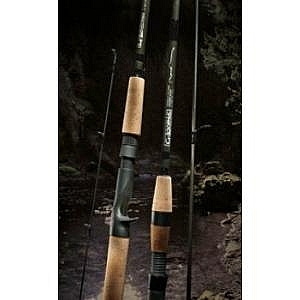 Perfect all-round performance trout rods.The GLX range allows you to make long casts and are soft enough to make accurate short casts.Wonderful for making delicate presentations with small dry flies and light tippets,yet will manage short sink-tips exceptionally for fishing closer to the bottom too. Originally targeted at Scandinavian style casters,these rods have also become very popular for use with both Traditional and Skagit lines,particularyfor casters looking for fast action rod performance.The taper and power of these rods are perfectly balanced to enable the angler to change lines and casting styles in order to achieve long casts with less effort.With a choice of either 14` or 15` models,both will help you generate high line speed and give great shooting distance casts.With a fast action taper,these rods will also let you make overhead false casts - where back-casting room is sufficient - generating the highest line speed possible.